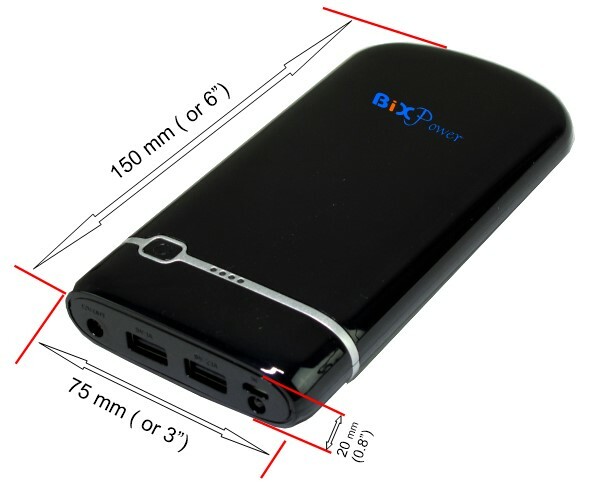 Customers from outside USA can order this item at BiXMart.com . 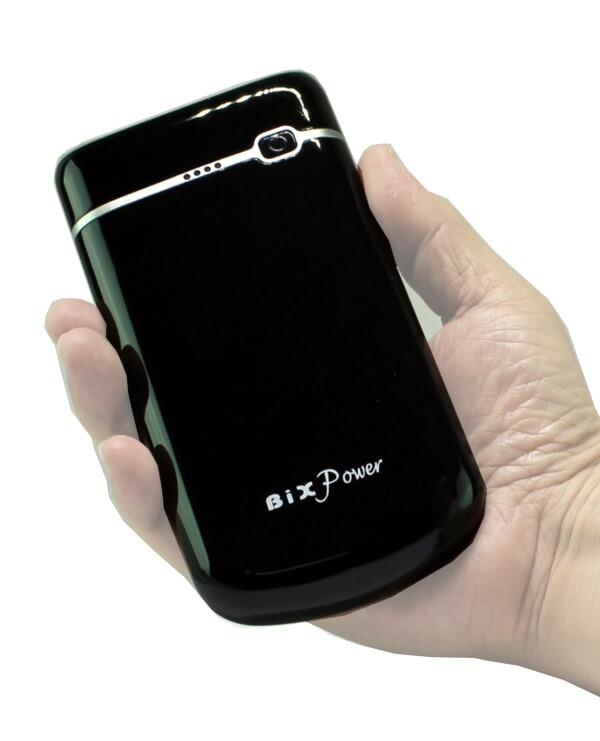 This small size slim battery has 57.7Wh (Watt-Hour) capacity (equivalent to 15600mAh if rated compared to other external batteries on market). No memory effect. 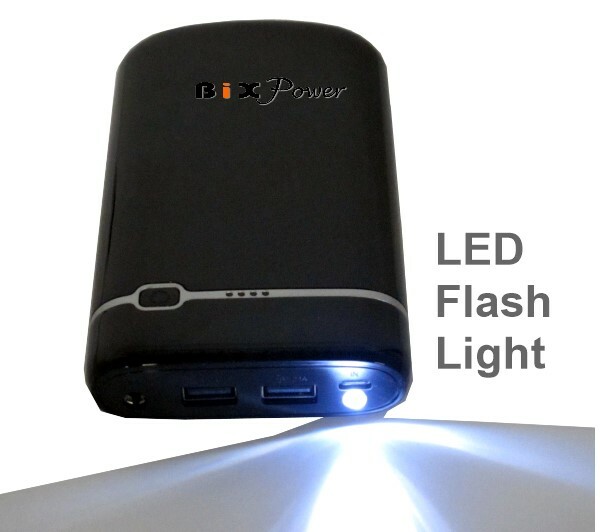 Can be recharged at any time regardless of the amount of discharge. Built-in battery gauge displays the power level of the battery pack. 12V OUT actual output voltage varies from 9V to 12.6V. 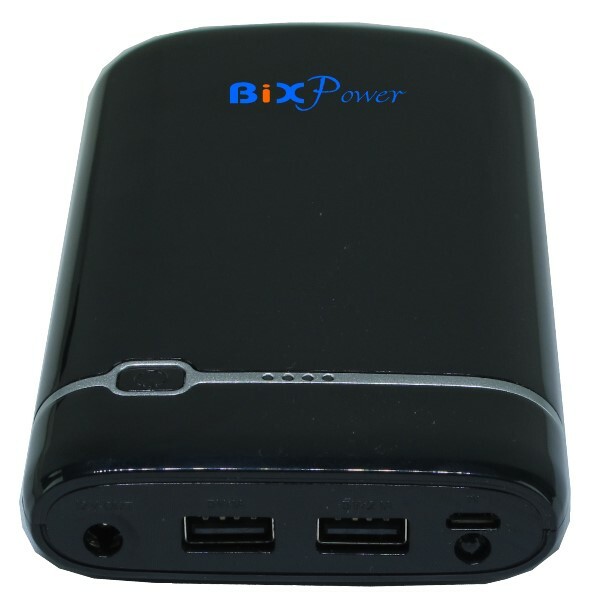 When the battery is fully charged, its maximum output voltage is 12.6V. The output voltage drops gradually during discharging process, and the cut off voltage is 9V. 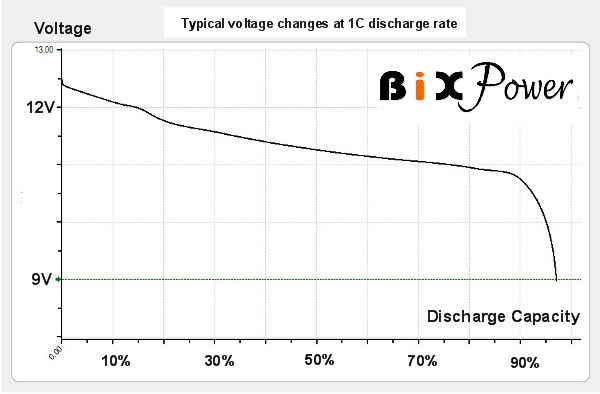 Usually, the battery output voltage will be around 10.5V ~ 11.5V . 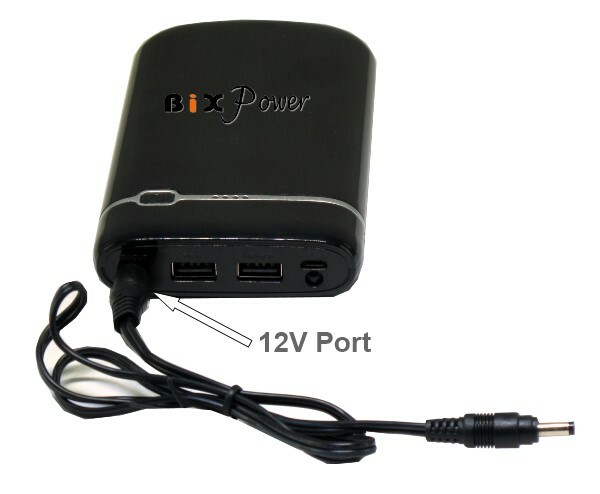 2 USB ports: one can output 5V maximum 1 Amp and one can output 5V maximum 2.1 Amps current. 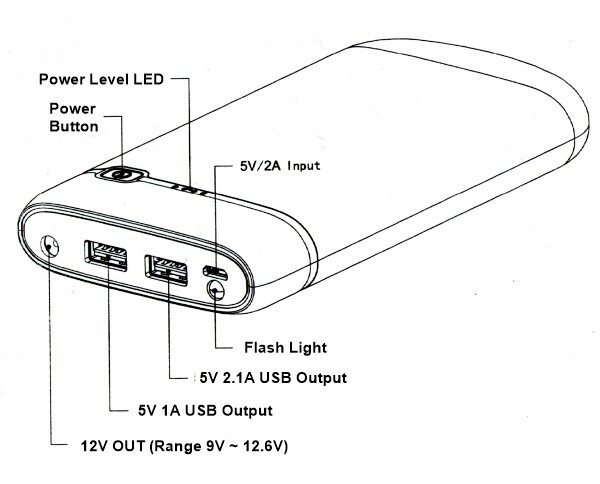 There are 4 LED lights on the battery that can display battery charge level by press the button. 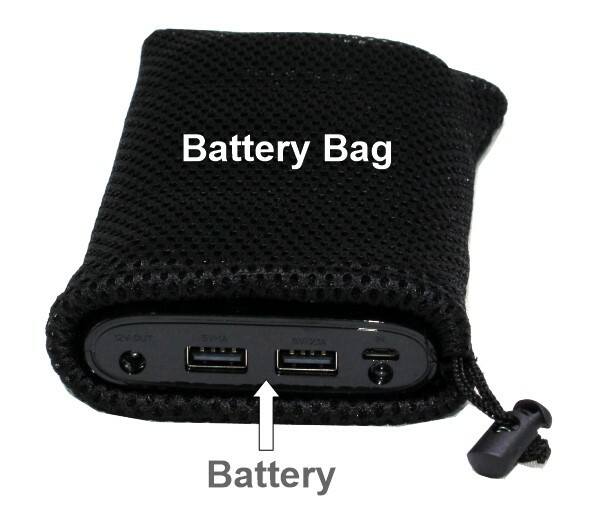 The battery package comes with a 12V port power output cable and a 5V USB port power output cable. plus 4 extra interchangeable connector tips. 4 extra connector tips are: a G4 tip with 5.5 x 2.5mm connector, a G5 tip with 3.5 x 1.35mm connector, a G10 tip with 5.5 x 2.1mm connector, a G11 tip with 2.5 x 0.7mm connector. One end of the USB DC Power Cable is a male USB Type A connector that can plug into a USB port. The other end is a round shape 4.00 x 1.70mm male connector that can fit DC input power jacks of a lot of devices. You can also add optional connector plug tips to this cable to make it fits more devices. 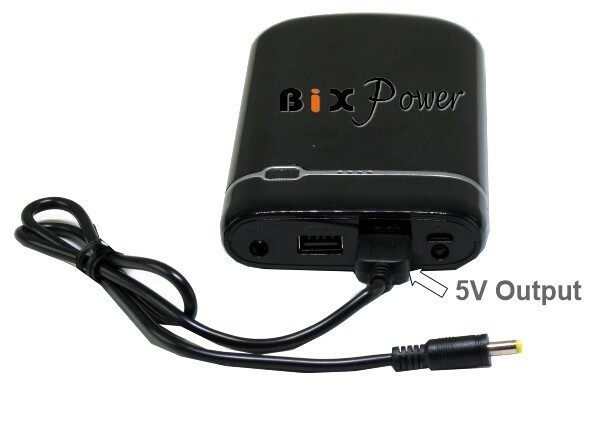 One end of 12V port power cable is a 5.5 x 2.5mm male barrel connector that can plug to battery 12V port. The other end is a round shape 4.00 x 1.70mm male connector that can fit DC input power jacks of a lot of devices. You can also add optional connector plug tips to this cable to make it fits more devices.